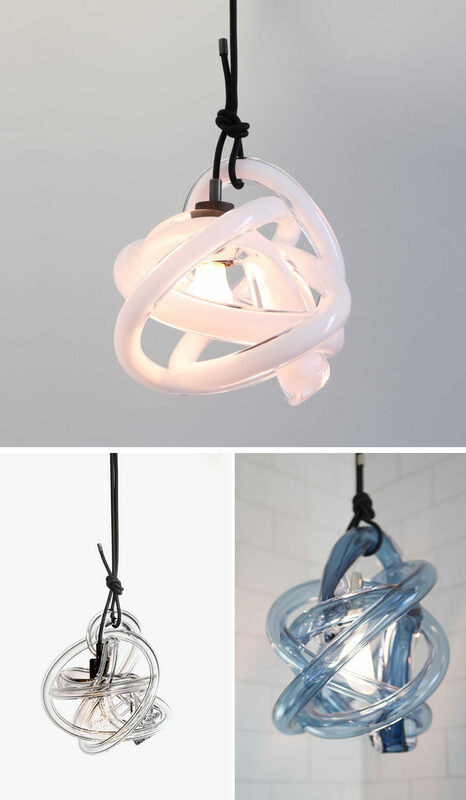 Design and manufacturing company SkLO have created the Wrap Collection, a series of three modern handblown glass lights. 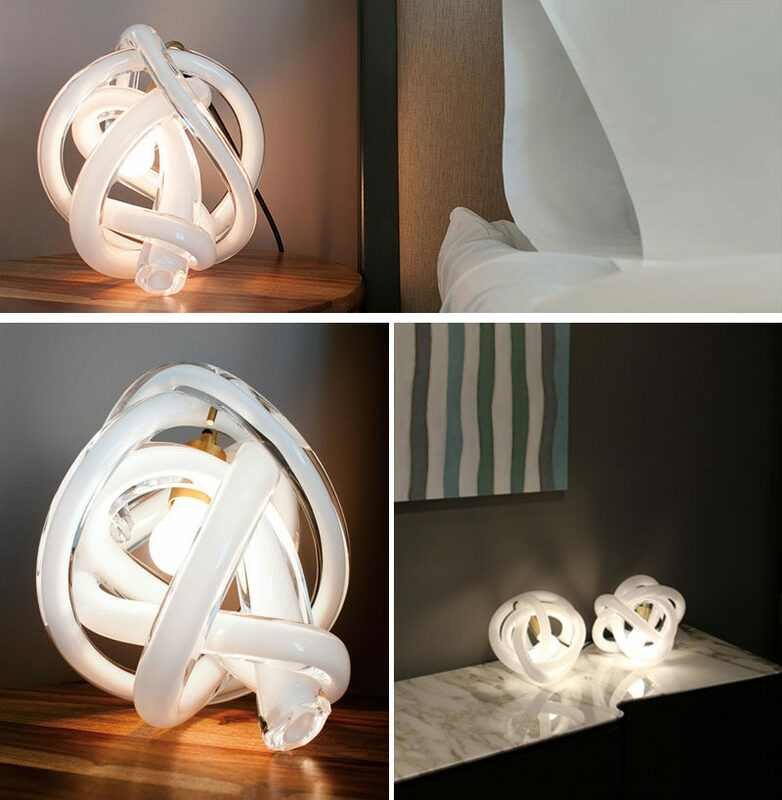 Founded in 2009 by husband and wife design team Karen Gilbert and Paul Pavlak, and brothers Pavel and Petr Hanousek, SkLO designs the pieces and prototypes them in California, while the glass production is completed by their second studio in the Czech Republic. 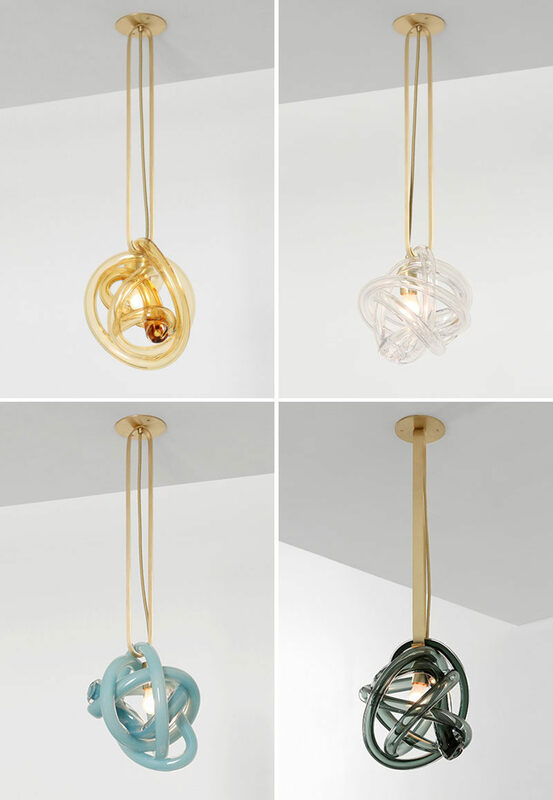 Each of the glass lights in their collection feature handblown Czech glass tubes that wrap around the bare light bulb, and as a result, no two are exactly alike. 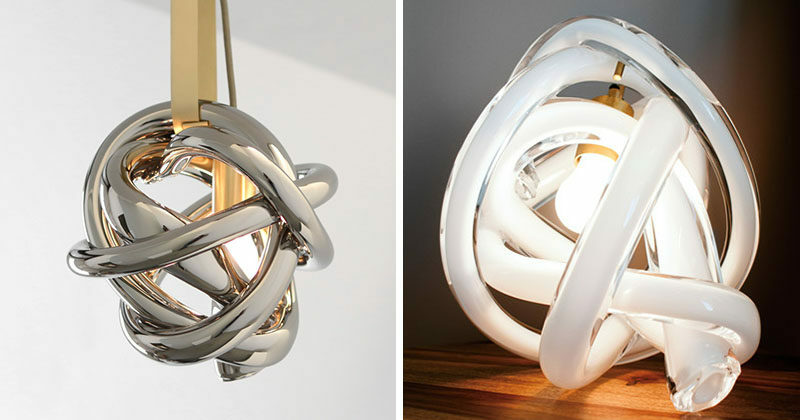 The glass tubes, which are either, plain, colored, or a metallic silver, have been combined with various materials like brass, fabric wrapped electrical cords, creating modern and sculptural light designs.